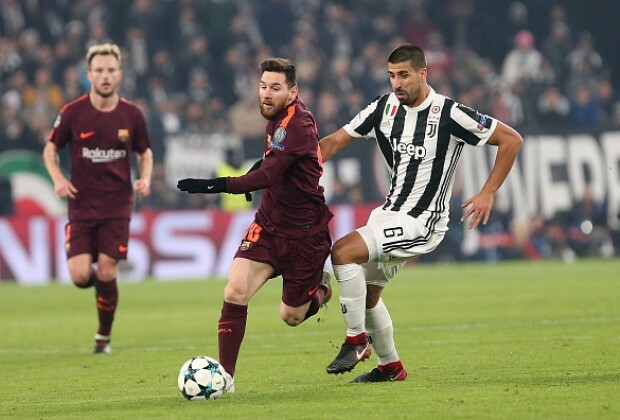 The director of football at Juventus believes only FC Barcelona superstar Lionel Messi would be able to improve the Bianconeri, and not Paris Saint-Germain’s Neymar. Speaking on the future of the Italian giants, Fabio Paratici has insisted that manager Massimiliano Allegri will remain at the club, as well as playmaker Paulo Dybala. Asked about who could come in, Paratici insisted only a player like Messi could improve on their already strong squad. "Allegri is one of the best five managers in the world," he told La Gazzetta dello Sport. "He is going to stay and Dybala is going to stay. There are only a few players that could improve this team. "Maybe Messi, maybe not Neymar, I have doubts. James Rodriguez is a big player but we have to see. It’s hard to improve this team. "Kean is a big striker, he will be playing for many years in Europe." Messi was linked with Juventus as a youngster, but decided to remain at the Spanish giants. Do you agree with Paratici’s remarks? Let us know in the comments section below. Ai these words won't sit well with Ronaldo. Whom in know thinks Juve has all that it needs in him.